Time, date or place - cravings have no specifics, but our taste buds sure does. And when it comes to momos, we know no better than Blue Poppy. But lest the hour long wait for food delivery apps kills our appetite, Blue Poppy Has launched frozen momo packs and we can't stop moaning over them. If there's anything that can put down the unputdownable roll, cutlet and phuchka, it's our Tibetan fave of momos. Our equivalent to the western world's chicken soup, Blue Poppy's plump, tender and juicy momos pack a punch of flavours and hearty goodness in those rounded pillows. When you are born in the city of foodies, you learn to take your cravings seriously. 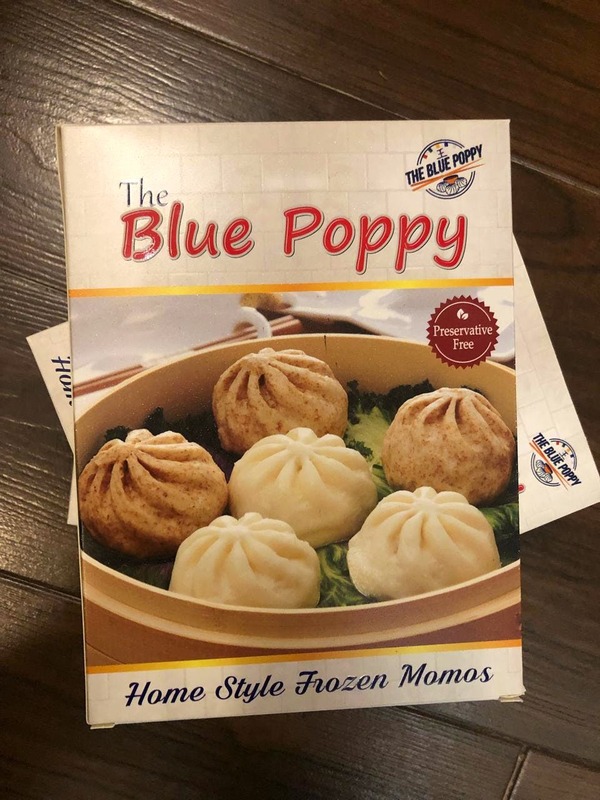 Waiting isn't friendly to craving and to remedy you on, this Blue Poppy has introduced frozen momo packs that you can heat and eat whenever you want. Not ready to eat, but ready to cook and eat, these packs include 10 homestyle momo pieces that you can ration over three months' time! Available in all three staple varieties of veg, chicken and pork, these need to bee cooked in a little oil and water before you let your mouth chomp it down. If there's still a lack that you can't spot, we'll let you know it's the famed Blue Poppy chilli oil that goes tremendously well when paired with the momos. You can squeal, but Blue Poppy is also packaged their chilli oil and popular Nepali pickle mulo ko achaar into jars for take away. The momo packs are priced INR 200 onwards and the pickles are priced at INR 200. We're being greedy here, but what wouldn't we do to buy a jar of the dalle chilli sauce! Our veritable guide to Tibetan cuisine, Blue Poppy has introduced traditional Tibetan homemade cookies packs that you can now pick for INR 100 at their eatery.